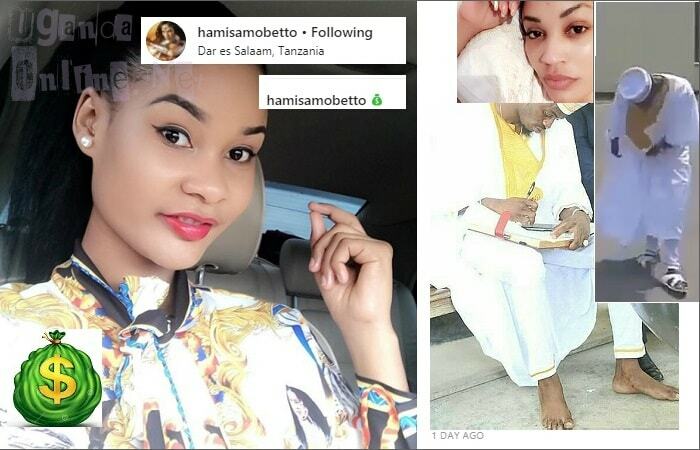 Tanzanian model and the Salome video vixen, Hamisa Mobetto, is all smiles after a court in Tanzania ruled in her favor that the Bongo flava star, Diamond Platnumz pays her the equivalent of Uganda Shillings 9million per month. The singer came dressed in a white Aso Ebi Naija fashion and matching sandals, which unfortunately got torn a few yards to the courtroom, but now that time had run out, he walked barefooted as his sandals got fixed. Hamisa came cruising in a navy blue Brevis ride and not her white DMC RAV4. In court, the singer is seen putting pen on paper after court passing the verdict that he pays the mother of his son 9million per month. Hamisa filed this case last year, but it was thrown out after it was filed using a wrong Child's Act Prescription. 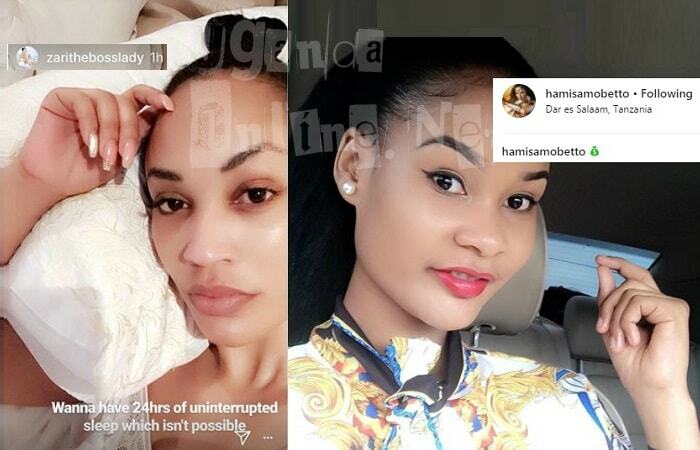 During that time, when the case was thrown out, Diamond and Zari went to the UK for a short vac, but now, Zari's latest post indicates that she is failing to get sleep. "I can't afford that amount, " Platnumz told journalists outside court. Meanwhile, Hamisa's updates are dollar bags implying that she is into things.